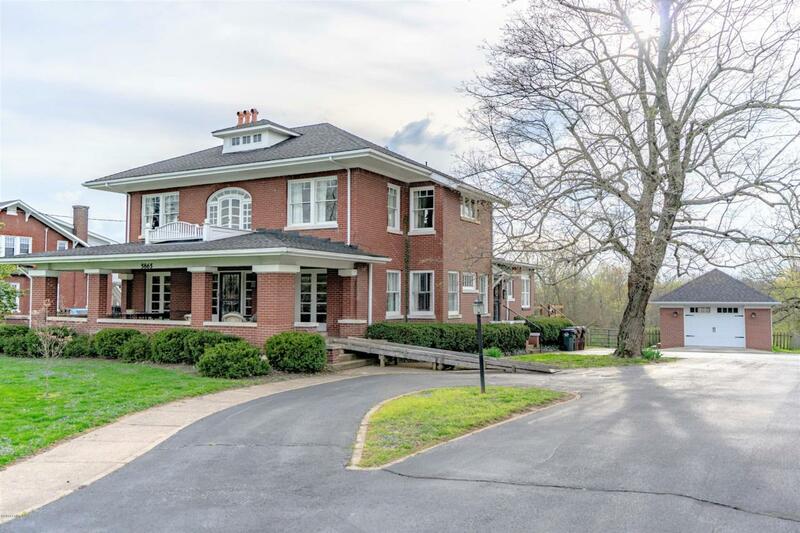 This historic, elegant and charming home is on 5.7 acres on Main Street in Eminence, KY. Absolutely stunning and offering character and privacy - that is a combination that is rarely found. 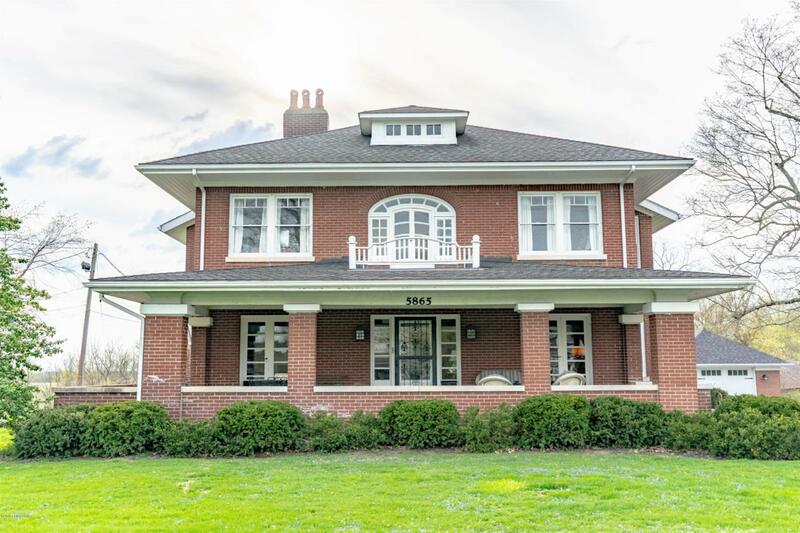 Built in 1905 this home is in excellent condition. From the curb you can see it was loved. From the street you will notice the huge covered porch and the very secluded 5.7 acres and beyond that is currently being farmed. Entering from the front door the space and quality is obvious. The workmanship and detailed carpentry has been kept in picturesque condition. Enjoy the beautiful archways, floor to ceiling incredible windows over 9 ft ceilings, fireplace and original interior doors. Another major benefit of this home is it has already been updated! You can move in and not do a thing. With justunder 3200 sf there is an abundance room. From having 3 or 4 bedrooms and 3 full baths plus basement it is perfect. 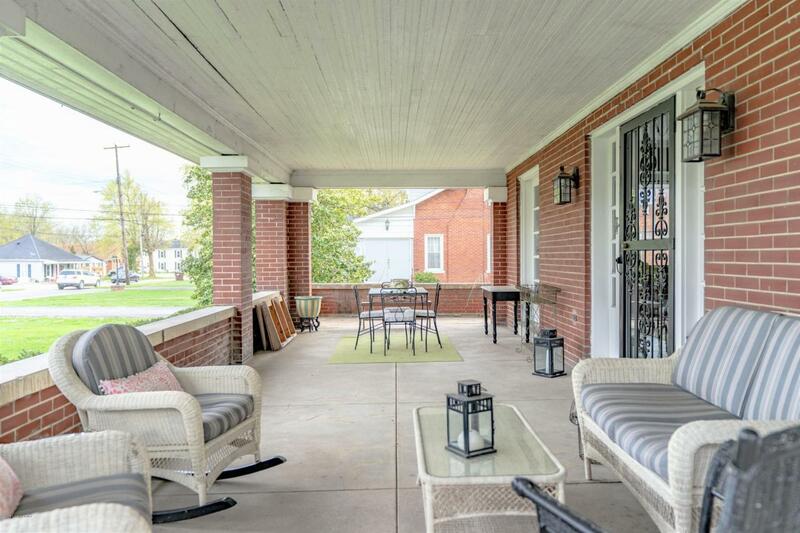 Entering the front porch you can take it all in " from the large Entry to the beautiful Living Rm with fireplace & French doors to the front porch. Large formal Dining Rm. All with hardwood floors in excellent shape. You will also find a butlers pantry with built-in china cabinet in the side entrance from the driveway which leads to the updated Kitchen and around to the laundry room. 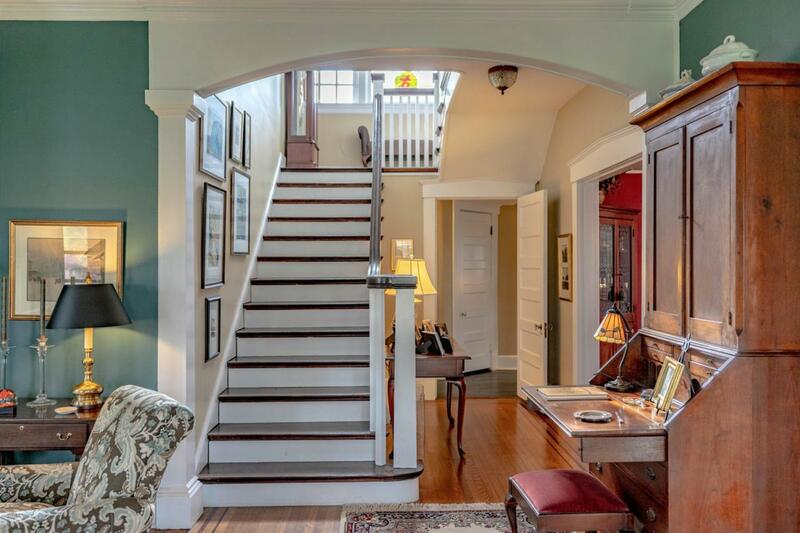 On the main level there is also cozy den and full bath or could be a 1st floor bedroom. Upstairs has the Master Bedroom w 2 closets and remodeled bath. The spacious and open landing is yours to utilize as you wish. This property has so much more with 1 car garage, large turnaround parking area AND PRIVACY! Looking for lush 5.7 acres, trees and fenced " check out all of the pictures!